In my quest for the new, exciting, unique and interesting, I recently flew to London to see what its scene was contributing to music. It was there where I ironically discovered, not in a London Club, but on a streaming platform, a London based band released on a US label, Hot fUSs. 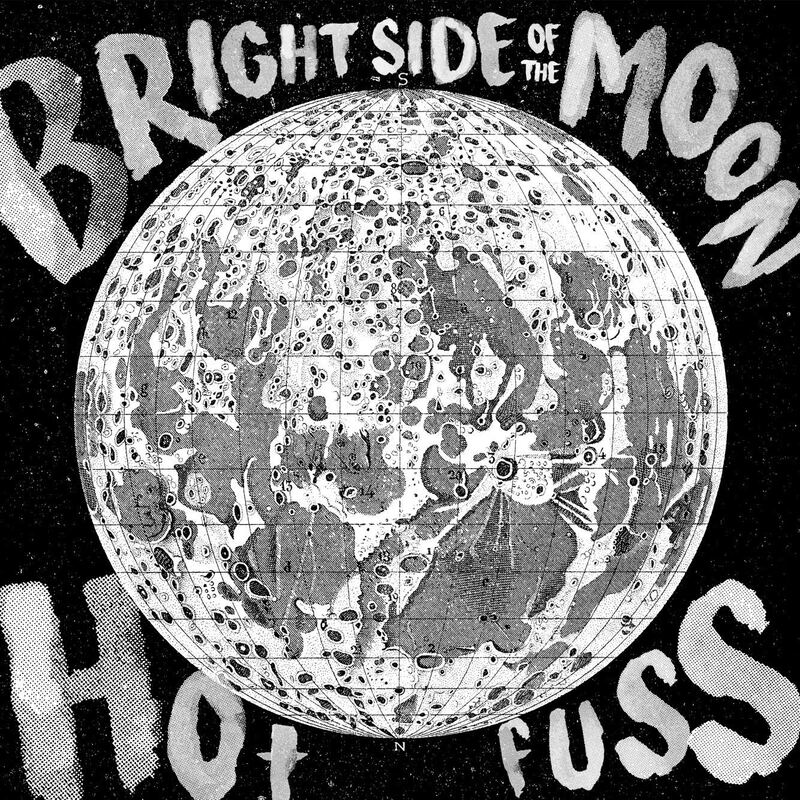 London based punk rock band Hot fUSs bring us the unique blend of both grit and charm on their debut single “Brightside of the Moon”. If you are or were ever a fan of Iggy Pop, then you will love this raw and exciting rock ‘n’ roll. With rough-edged production juxtaposed against melodic pop sensibility, Hot fUSs’ “Brightside of The Moon” introduces a vibrant and promising new act. “Brightside of the Moon” kicks off with a snarl drenched in delay and fuzz effects accompanied by two scrappy guitar rakes. Then it’s off to the races with Johnny Ramone–esque guitars, drums with just the right amount of stomp and snap, and a subtle synth under the chorus that gives Hot fUSs’ retro vibe a tasteful modern touch. Added to all that are crispy megaphone vocals. The verses delineate the indictment of an enemy. They describe a ruthless sleaze bag, and a victim turned avenger putting his retributive foot down. When the infectious chorus kicks in we hear a male and female lead vocal line sung in unison. The lyrics “I’m gonna get you back, as a matter of fact, sneaky little rat, here comes the cat” are sung with a melodic hook that gets in your head in all the right ways. The members of Hot fUSs are no slouches musically either. What may be confused with simplistic chords and straightforward rhythm in actuality reflects a deep understanding of music theory and structure. There is a deliberateness in every creative decision made. Like the great minimalist painters, Piet Mondrian, Mark Rothko and Josef Albers, Hot fUSs knows and respects the art of simplicity, yet at the same time, like Tom Petty and the Heartbreakers, Hot fUSs has all of the technical skill it takes to pull off something complex when the song asks for it. The guitar solo on this enjoyable track is a blistering example of just that. Take a listen and you’ll know exactly what I’m talking about. This is the kind of song you can listen to again and again. It’s the one that the more you listen, the more it grows on you and the harder it becomes to get out of your head. The members of Hot fUSs include siblings Simon Mark (bass, vocals) and Sylvia Williams (guitar, vocals), and longtime family friend Jason Black (drums, vocals). Hot fUSs is also featured on a track by Chelsea Dagger called “Somebody Told Me You’re A Mess” (yet another enjoyable new tune that tells us Hot fUSs is a new act that is here to stay). I, for one, look forward with anticipation for what this outstanding new band will deliver next. In the meantime check out “Bright Side of The Moon” and “Somebody Told me You’re a Mess (feat. Hot fUSs)” on Spotify, iTunes or any other of your favorite music platforms.